5 of 5 DeliciScore™ (From Heaven) Awarded to FX McRory's for their Prime Rib Dip Sandwich in Seattle, WA on this 9th day of March, 2013 - Very solid sandwich. It was the first week at my new, fun, exciting job with Cynergy, The Experience Agency. Cynergy makes awesome software for awesome clients and has a very impressive portfolio of work. The Seattle team walked out in the rain to lunch at a local bar and restaurant, FX McRory's. FX (McFunster's as some call it) is at the north end of Century Link Field parking lot where the Seahawks--who won 11 games in the 2012 season--play. FX has an incredibly large selection of alcohol and a pretty diverse menu. Earlier in the week I'd had a pretty good mushroom Swiss burger there. Here's the Prime Rib sandwich. It's really good. 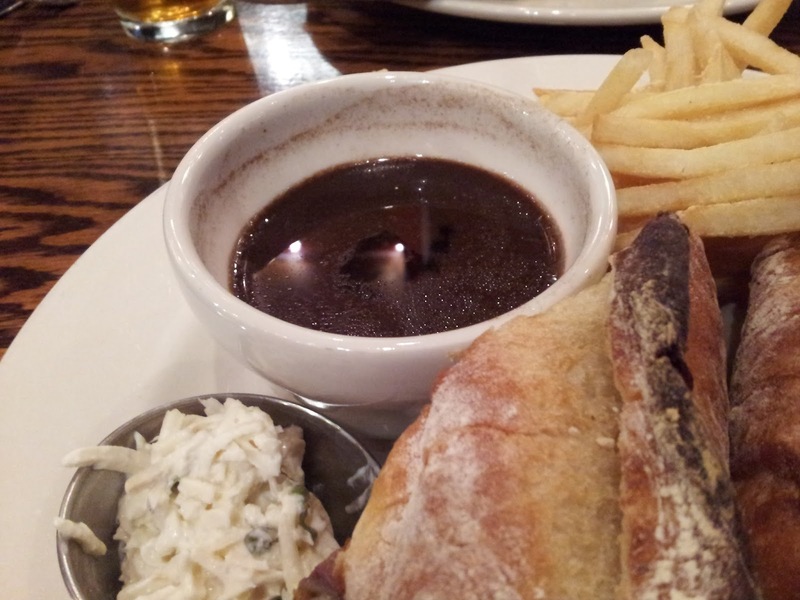 It's served on Macrina Bakery bread and comes with fries. Here's the very good looking prime rib. It's cut thick but not overly chewy. The meat is a 5 of 5. You can also see the very pretty Macrina bread quite well from this angle. The flour-marks are a nice touch and the toasting is done well. There's no additional toppings on the sandwich, which is totally fine with me, and the waitress said she prefers this sandwich to the Prime Rib dip with cheddar. It comes with real (and real good) horseradish that's shredded thickly. 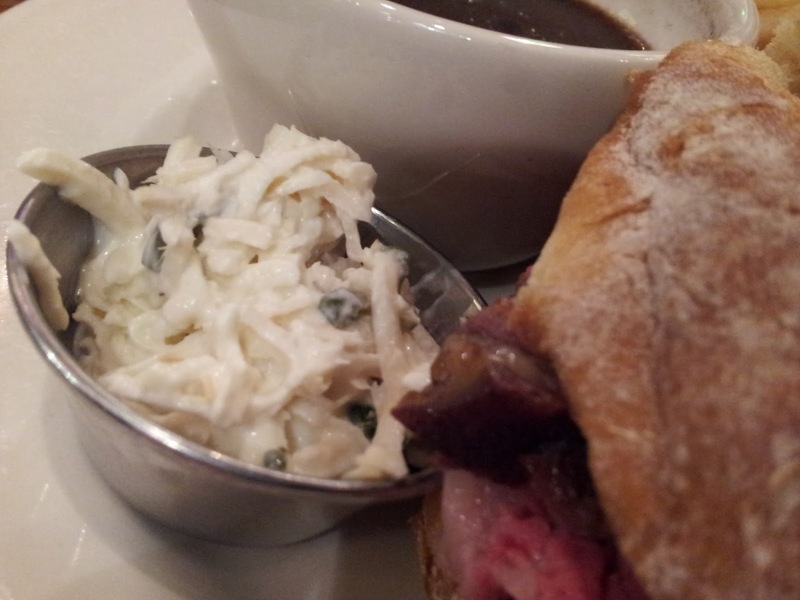 The au jus is the only strike against this sandwich. It's good but not awesome. 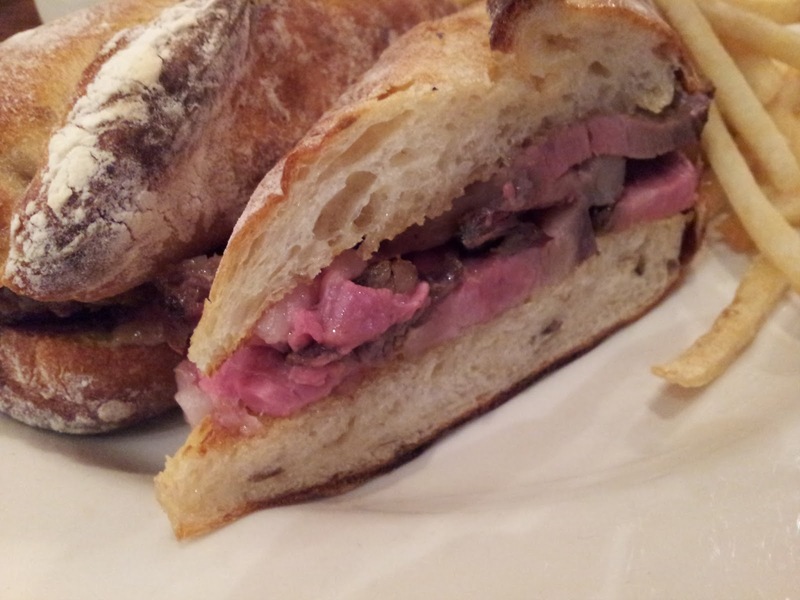 It's a tangy and fine just not as great as the rest of the sandwich. 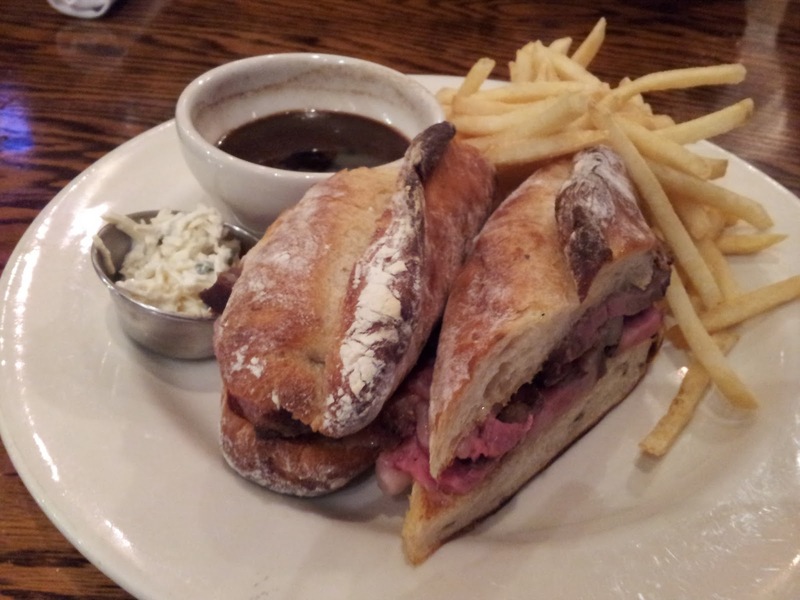 This is a great French dip and FX McRory's is a fun, nice place near quirky, fun Pioneer Square in Seattle downtown. Great for a workweek lunch or a game-related treat.